Criminologist Dr Julian Buchanan argues that New Zealand’s current policy on naxolone – the take-home antidote to drug overdoses – is showing a deadly indifference to a vulnerable group of people. There is currently an overdose crisis in the USA and UK, exacerbated by the increased availability of the highly potent opioid, fentanyl. Scotland now has the highest drug death rate in Europe 160.4 deaths per million, that’s 27 times that of Portugal, at 5.8 deaths per million. Portugal, the country that decriminalised all drug possession 17 years ago. Coroner data indicates that every week someone dies in New Zealand of an opioid-related overdose. With the arrival of fentanyl those figures may soon increase. Regardless of low or high rates of fatal overdose, every fatal overdose is a crisis, especially for family and friends left behind. One overdose is one too many. 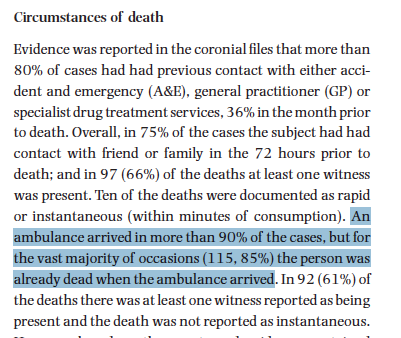 The emergency services in New Zealand usually carry naloxone, however, a 2007 study in London, found that when an ambulance was called the person who overdosed was already dead before the arrival of the ambulance in 85% of cases, so naloxone often arrives too late. Naloxone needs to be in the possession of people who may use opioids, their family and friends. Improved naloxone distribution was recommended by the World Health Organisation. The WHO guidelines recommend naloxone is made available to people likely to witness an overdose in their community, such as friends, family members, partners of people who use drugs, and social workers. Many countries like the USA and Australia had already made excellent progress on this front many years before WHO recommendation. By contrast, here in New Zealand it has been difficult to get naloxone on the drug policy agenda let alone into the community. Why should this be difficult when naloxone has no abuse potential, is relatively cheap, easy to administer and is so effective in saving lives? Unfortunately, the failure to deliver a humane and effective drug policy has little to do with a lack of effectiveness, evidence, understanding or science, but much more to do with a lack of political interest, care or regard for people who use illicit drugs. People who inject drugs (the group most vulnerable to fatal overdose) tend to be the most marginalized. The most vulnerable need advocates to campaign on their behalf, but they appear to be in short supply. In August 2013 sixty-seven agencies were represented at an invitation-only National Think Tank Event managed by the New Zealand Drug Foundation. After two days debating priorities, values and strategy, to shape the future of drug policy in Aotearoa, the NZ Drug Foundation produced a 12,000 word vision statement, that became known as the Wellington Declaration – but surprisingly this comprehensive document outlining drug policy priorities didn’t even mention naloxone. In October 2014, after a new government was elected, the NZ Drug Foundation prepared a 20-page Briefing Paper to Parliament designed to identify key drug policy priorities to enable ‘opportunities to make real reductions in drug related harm‘. The document emphasised the need to secure New Zealand representation at the United Nations (UNGASS) meetings, and highlighted the need to tackle deaths caused by huffing solvents but, astonishingly, made no reference concerning fatal opioid overdoses nor did it mention the need to distribute naloxone to users, families and friends. With this lack of commitment to naloxone distribution it was hardly surprising that when the new government rolled out its five year Drug Policy Strategy 2015-2020 on 28 August 2015, the policy document made no mention of naloxone whatsoever, but it did ensure New Zealand would be represented at international UNGASS meetings. At an addiction leaders conference this month ex-Prime Minister Helen Clark, now a member of the internationally respected Global Commission on Drug Policy, pushed the importance of New Zealand adopting evidence-based harm reduction policies, but perhaps tellingly, the lack of access to naloxone in New Zealand was not on the Conference agenda. People who use ‘drugs’ in New Zealand are needlessly suffering, some are dying. Despite this ongoing ambivalence to naloxone and indeed harm reduction the pressure for sensible evidence based drug policies must continue. I am pleased to see that the Foundation have in the past few months finally recommended ‘take-home’ naloxone. To reduce harm and avoidable deaths, not only should we push for take-home naloxone, but also other important harm reduction strategies, including: drug checking; prescribing maintenance injectable opioids to opioid injectors; adopting a Good Samaritan Law to end arrests for possession and manslaughter when co-users call for emergency help; end the risk of criminalisation for possession of needles and utensils in New Zealand (unless proven to be obtained from the needle exchanges); and establishing Drug Consumption Rooms. No provision for take-home naloxone – no excuse. It is literally a matter of life or death.